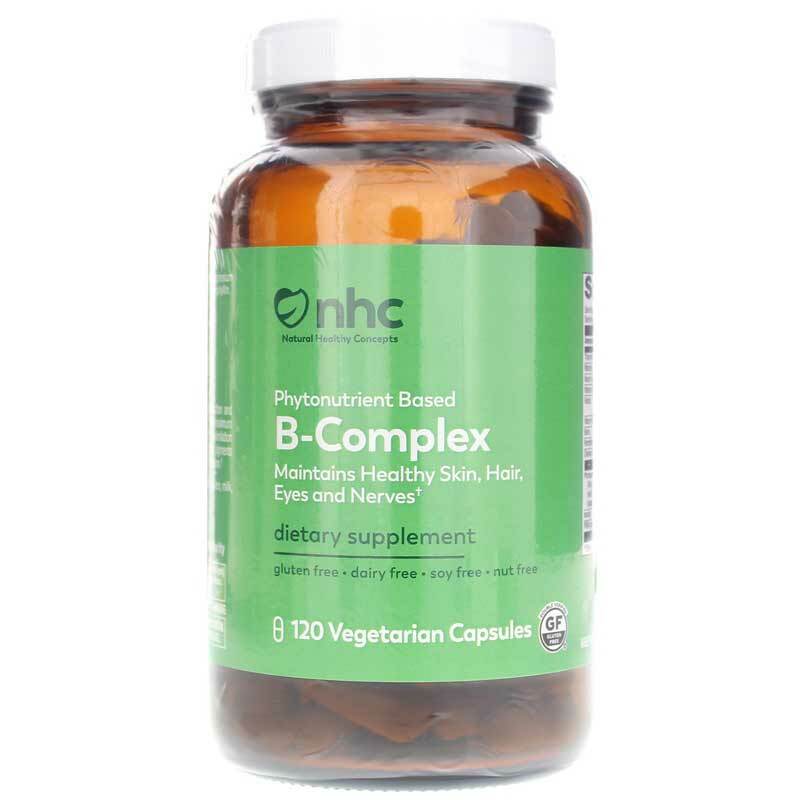 B-Complex from Natural Healthy Concepts is a dietary supplement with all the B vitamins, choline, inositol, PABA, and a phytonutrient blend for support of healthy-looking skin, a healthy central nervous system, the normal production of energy, and support for a healthy metabolism. 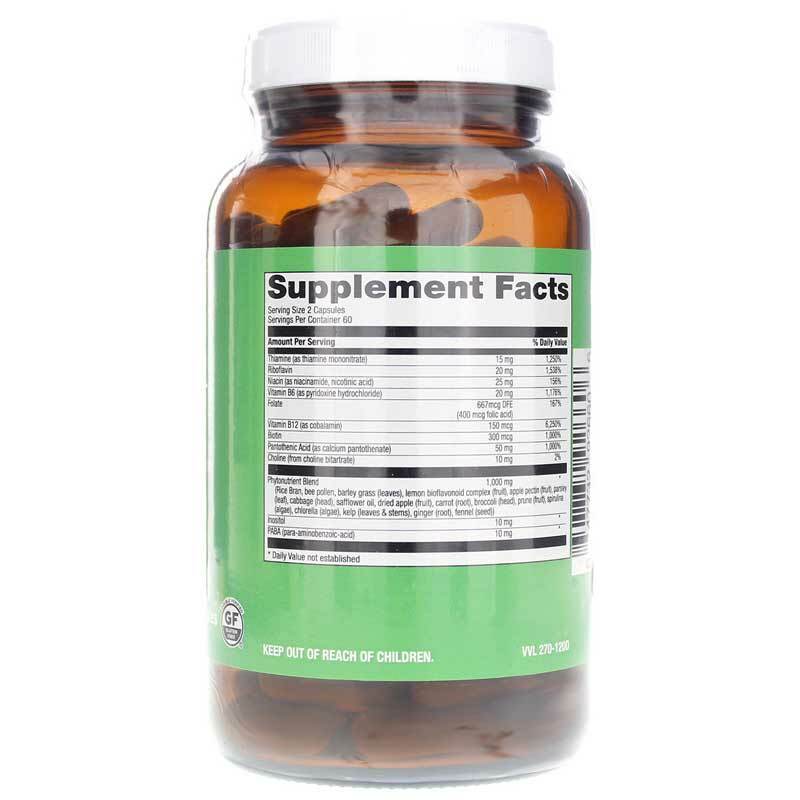 This B-complex provides all eight of the B vitamins. 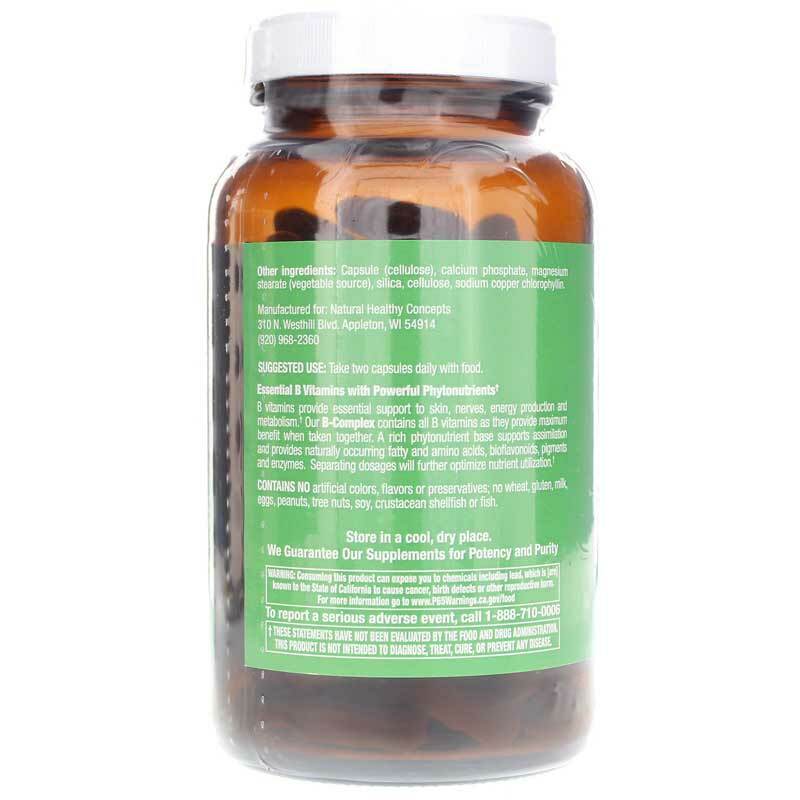 These vitamins are essential in the body and support several metabolic functions. In the body, B vitamins serve as either a precursor that helps to start a metabolic process in the body, or it acts as a cofactor that helps progress a process closer to the result. These processes can include the conversion of sugars and amino acids, the activation of other vitamins, support for several metabolic processes, the synthesis of fatty acids, the normal function and development of cells, and the regulation of DNA synthesis. Choline is an essential nutrient that is similar to a vitamin and is believed to support the development of red cells. Inositol seeks to support insulin signaling, the healthy development of a normal central nervous system, the normal maintenance and storage of calcium, the structure and function of cell membranes, the normal breakdown of fats, and the development of DNA. PABA acts as an intermediary in the synthesis of folate, may support healthy-looking skin, and may support a normal mood and behavior. Contains no artificial colors, flavors, preservatives, wheat, gluten, milk, eggs, peanuts, tree nuts, soy, crustacean shellfish, or fish. Experience B-Complex and see if it makes a difference in your life! ---Rice bran, bee pollen, barley grass, lemon bioflavonoid complex, apple pectin, parsley, cabbage, safflower oil, dried apple, carrot, broccoli, prune, spirulina (Spirulina pacifica), chlorella, kelp, ginger, fennel seed. Other Ingredients: Capsule (vegetarian), dicalcium phosphate, magnesium stearate (vegetable source), silica, cellulose, sodium copper chlorophyllin.